Epson Ultrachrome K3 inks are extremely resistant to light and water and give an incredibly broad spectrum of colours. The high capacity single ink cartridges can be replaced individually. The Ultrachrome K3 ink set combines three blacks along with 6 colours to give you a larger colour gamut than it's predecessors. 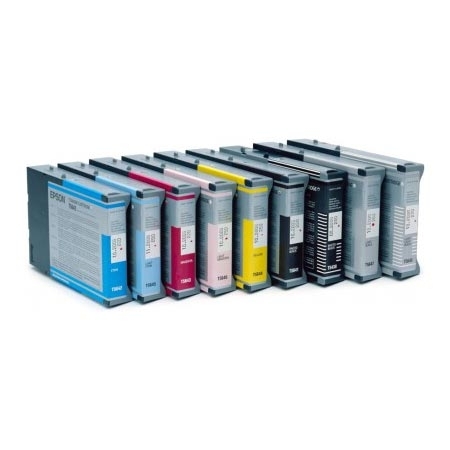 The higher volume of ink ensures that the working life of each colour supply is maximised and the length of time between replacements is extended, leaving you free to get on with the job in hand.